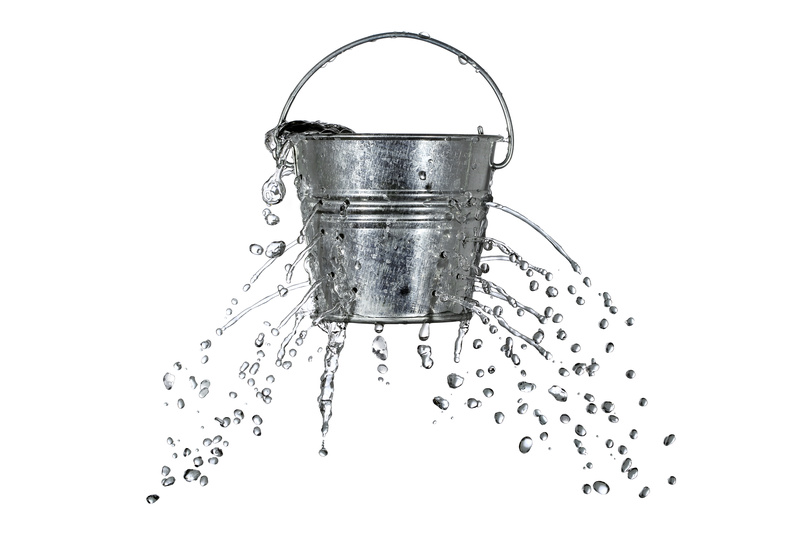 Are there Holes in your Bucket that Leak Profits? Dan has found something that never ceases to amaze him – leaking profits. And I’m similarly amazed at how many ways businesses can find to leak profits. The Dan in this case is Dan Kennedy, who has been a marketing legend for many years. He has been publishing marketing newsletters, hosting conferences, bootcamps, intensives, and mastermind/coaching groups on a variety of marketing and business growth topics, plus developing a wide range of marketing products. I have a number of his books. So an article Dan wrote identifying six holes in business’s marketing buckets which leak profits that I came across recently grabbed my attention. I couldn’t have put it better myself (lol). Take it away Dan. Most people give little to no thought about an actual lead generation strategy. They may spend, at times a lot, on advertising, but that does not equate to a lead generation strategy. I recently went to a new restaurant outside Cleveland. I heard about it from a friend and I enjoyed it quite a bit. My waitress actually asked if we’d been there before and, when I said “no,” went on to tell us about the restaurant in a well scripted presentation. They, like many businesses are operating on a strategy of “hope”, and that’s a BAD strategy. They HOPE that I liked it enough that I’ll return. Thing is, I did. But I like a lot of restaurants, and the chance of me returning to their restaurant next time I’m going out diminishes each and every day that I don’t have contact with them. And they have no way to contact me specifically because they didn’t even attempt to get my information. This is the BIGGEST area of opportunity for 99% of people I work with. They don’t have a systematized, automated strategy to follow up with prospects to turn them into customers, clients or patients. This is an area where you can add to your bottom line without adding a single dollar of expense to your business! Imagine each day you currently have 100 people coming to your website, contacting your office, coming into your store or however people reach out to you. Can you tell me out of those 100 people what percent will do business with you? If not, you should figure that out fast. I read that Domino’s Pizza has an app that customers can use to order pizza online, but it also sends notifications to those subscribed, with special offers. This allows them to turn slow nights for their stores into busy nights. Almost no business does this well. While many stumble across ‘referrals by chance,’ almost none generate a steady stream of ‘referrals by design.’ Yet if I asked most business owners who their best leads are they will almost inevitably say it’s those that were referred to them by a past customer, client or patient. When clients approach me for coaching, so often, they are not getting the clients they need, the right clients. Eight times out of ten this comes down to not knowing what is working, and how to develop compelling offers for their customers. For more than 30 years I’ve been helping small business owners plug the profit leaks in their business and restoring their cash flows by assisting them understand how to use the 80-20 rule to determine their most profitable customers, and to determine the offer to bring them on board. © Copyright 2018 Adam Gordon, The Profits Leak Detective - Except for those bits by Dan Kennedy. As the old saying goes “business is what, if you don’t have, you go out of!” As Michael Masterson said in “Ready, Fire, Aim”, your primary concern has to be making sales. Without sales, you don’t have a business. But it starts with your offer which in turn leads to a sale. 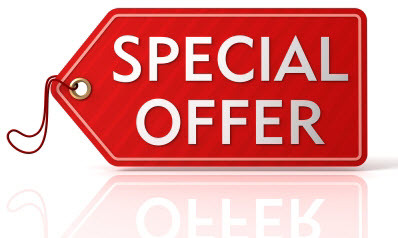 An Offer is a way of communicating the value of your product or service to a potential customer. A good offer is one that focuses on what people want, and NOT on what people need. If you wish to create a good sign-up offer, produce something people desire. To make a profit, you must satisfy your customers. • The outcome – the results the customer will gain if they accept your offer. Their desire is driven by more than just features and benefits. Sure, the benefits are what the features will do for the customer, but you must dig deeper. But there is more to benefits than straight forward ‘cause’ and ‘effect’. Robert Imbriale (Motivational Marketing) suggests that there are in fact at least two levels of benefits. Direct benefits are what people usually talk about. You go on a diet, and if you maintain some discipline, you lose weight. Cause and effect. Let’s take this a step further. You need to drill down to the key desire that will have the greatest emotional impact on the buyer - the indirect benefits. It comes down to emotional factors, how they will feel having used your product or service. Did you notice that all these indirect benefits are about how you feel, rather than something strictly measurable like the weight you have lost? Because they are about how you feel, you tend to judge them in emotional terms. So many advertisements today endeavour to tap our emotions. They ask us to put ourselves in the situation being promoted. And they often show us with pictures – ‘before’ and ‘after’ = the transformation. Very clever, because most people make decisions for emotional reasons, although they justify them in more logical terms (I’ve lost 5 kilos!). You might set a target of losing 5 kilos, but underneath that there are “feelings” such as those above. It will be those feelings (emotions) that are most likely to lead your prospect to take up your offer. The benefit part of the value equation is not simple, but you need to understand it to ‘balance the equation’ when making an offer to your prospective customers. For most people, the top reason that someone will chose to buy a product or service is that it will do what they want it to do. It’s the Transformation - the before and after evolution that your customer will go through after using your product or service. The transformation is the core of your Offer. Your prospect probably won’t tell you why they want to lose 5 kilos. That is why you have to dig down. Stop selling your product and start selling your outcome. It’s not earth shattering, but it is easy to forget. We get so wrapped up in the great stuff we have to offer, we forget it’s really all about the prospect and what they want. So be very clear about the outcome you’re trying to create for your prospect. Try rewording your offering in outcome terms, not product or service terms. Make it compelling. Value arises because the direct and indirect benefits your product offers solves a problem for your customer for a price they are willing to pay to gain those benefits. Too high a price, then the benefits will not be seen to offer value, and the customer won’t buy, or at least, they won’t buy from you. Instead they may well go to a competitor who offers a superior value as perceived by the customer. The greater the benefits in terms of the problem they solve for the customer, the more the customer will be willing to pay to obtain those benefits. Too low a price will offer increased value to the customer, but at the expense of your profits. The difficulty in getting the balance right is that very often the assessment the customer makes is likely to be carried out in their mind – at the emotional level. It is a perceived value, and each customer will form their own perceptions, but to be compelling you must reach down to that emotional driver. Is "Perceived Value" in the Value Equation Changing? You will know people buy based on perceived value. It’s all part of the Value Equation: Value = Benefits – Cost. Whether it’s done formally, or more likely as an informal, subconscious mental decision. 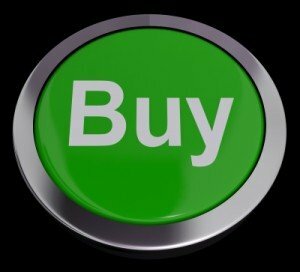 When someone is making a purchase decision, they make a value decision. It doesn’t matter whether the “buy” under consideration is a consumer purchase, or a business purchase, the ValueEquation will come into play – “will I get value for the money I spend?”. It’s about the “Transformation” - the before and after evolution that your customer will go through after using your product or service. This is the core of your offer, the change it will make for them. At its core, every offer boils down to a transformation. That’s where the real value lies. If there was one thing that really annoyed me in all my years consulting it was winning a job, whether it was a straight client quotation, or a government tender, it was winning the job because I had the lowest price, as if price was the main differentiator that set me apart from my competitors. Do you understand what constitutes “value” in each of your market segments? 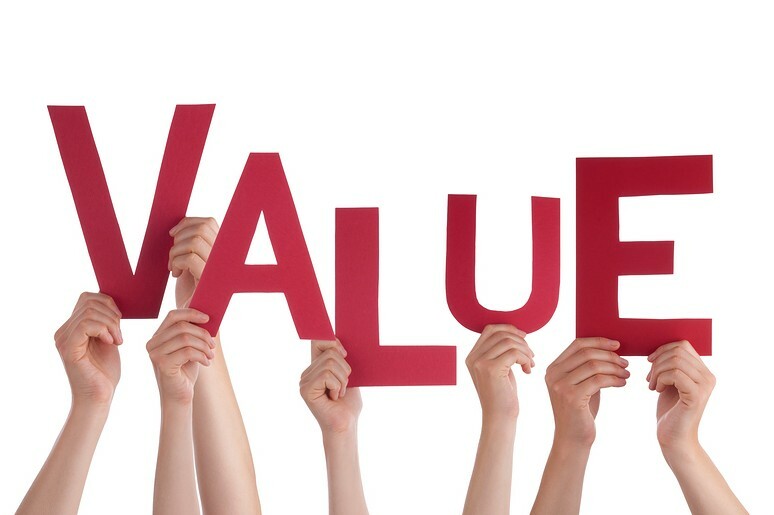 Do you have a clear idea about what makes up your customer’s value equations? Value is rarely only price, it is about what your product/service will do for them (the benefits); their value equation. Do you have a value proposition for each of your key market segments – a compelling statement that clearly identifies why customers should ONLY buy from you, and not your competitors; a clear statement of the tangible results a customer gets from using your products or services? If you can’t clearly communicate this, of course you will struggle. “Whether it is three years of depressed economic activity kicked off by the Global Financial Crisis (GFC), the on-going uncertainty about Europe’s ability to pull itself out of their quagmire, or doubts about the US economy reviving, people seem uncertain about the future. A recent newspaper report suggested that Australian retailers have been forced to extend their summer clearance sales, as shoppers have left them with piles of unsold stock. Price became key driver in the Value Equation with fear and thrift driving people’s decisions. Retailers responded accordingly, both in Australia, and overseas. Neither businesses nor consumers could afford to be indulgent. A number of reports suggested customer behaviour was changing, and that this was not a temporary change, but more likely a permanent change. 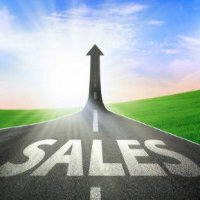 To maintain healthy sales, businesses adopted price-driven marketing strategies. So in Australia we had what were dubbed the “Supermarket Wars”, with staples like milk and bread reduced to ridiculously low levels, led by Coles. Woolworths retaliated. The slogans were “Down, Down!” and “Cheap, Cheap”. The Supermarket Wars lasted seven years. The Penalty - retailers suffered losses in terms of margins, consumer loyalty and an inability to pull out of the downward cycle. Research shows that if price becomes the main selling point, customer loyalty decreases. Operational costs don’t go down, so if prices keep coming down, businesses run out of margin. Price conscious consumers and thin grocery margins are a problem. But there has been a change! It was intriguing to read recently that the two major retailers in Australia were moving away from price as their main differentiator. And just as intriguing to read the reasoning was based on similar experience elsewhere. The ultimate cost of price wars on retailers is currently being played out in the UK, a retail market which shares many commonalities with Australia’s. A Dutch study examined the market impact when the leading Dutch grocery chain Albert Heijn slashed its prices in response to Aldi and Lidl, finding that there was an 8.2% reduction in food prices. This cost Dutch supermarkets €900 million in one year alone and more than 30,000 employees lost their jobs. As a result of the losses, Woolworths pulled out of the “War” two years ago, and has reaped a good increase in earnings from their supermarket business. Coles has now blinked as well, having seen a continuing drop in earnings. If Price can’t be used to create value, then the benefits have to be upped. Coles and Woollies have shifted their focus to service quality, social programs and connecting with the community. While food prices won’t necessarily go up any time soon, consumers shouldn’t expect to see any further significant price drops. Instead, Coles and Woolworths will draw attention to other important attributes. They will build on the benefits. Building value on price alone is, to me, nothing but a profit leak. Once you start focusing on Price as your discriminator to build value, the only way is down - at the expense of your margins. As Rashid Kotwal said, “many businesses operate on two assumptions that are often never tested and end up costing them dearly. ...but you also know that you don’t want to resort to cheap attention-seeking or sleazy sales tactics with low margins to get you there. The value has to be in your Offer. The Benefits the Offer extols must be more than superficial benefits; they must be deeper than that, benefits that meet an emotional need for the buyer. How it will transform them. Can you add additional benefits? More clearly state the existing benefits? Create more value for the prospect? When you make your offer irresistible, the sales will follow. Simply having a great product with awesome features and desirable benefits isn’t enough. You need a great offer - one that walks your customer through the logical *and* psychological journey from "I don't really think I need this" to "This is exactly what I need! Can I buy it from you right NOW?" What are the additional factors what will allow you to charge a price commensurate with that Value Equation? Sales get much easier to make, and your customers are happier than ever! All because you crafted the right value offer, one that speaks directly to your market without sounding fake, pushy, or salesy. If you struggle to communicate the value of what you offer, it's often because you haven't identified the key transformation your target market is seeking. Could your Value Equation be Improved? There’s nothing like an outside view of your Value Equation? In the End, You Have to Make the Sale! In a Not-for-Profit Committee I chair we have been going through a dilemma about the best way to make sales. Now I say sales deliberately, even though we are a Not-for-Profits (NFP) because to operate, like many NFPs, we need sponsors. And getting sponsors means making a sale. Making a sale is not so different from the dilemma we all face in business; making a sale requires persuading the prospect that there are genuine benefits to them, benefits which outweigh the cost. In effect, we have to find their “Hot Buttons” and use them to help make a decision – to make a “buy” decision. But how do you get the leads in the first place? You need leads to talk to before you can find the hot button. That’s the challenge when you are marketing for a NFP as well as a business. There are some tools you will use in your business that apply equally here, and there are some tools you won’t. But in the end, you have to make the sale, and that is what I want to discuss. Recently I came across some interesting research you might find useful. It applies just as much to most businesses as it does to NFPs. Emails - and I’m a fan of email marketing. But first build your list! The one we all hate the most is the last, cold calling. Cold calling may require opening the door to make yourself known. It may require making that telephone call. It also requires an understanding of the urgency, consistency, follow up and repetitiveness of sales. In my time with a farm machinery manufacturer, our sales team were adamant that success was dependent on the number of farm gates you opened. Of course, you also had to have a clear understanding of the benefits of your product, and being able to articulate them, a sales conversation, but sales as they saw it, was a numbers game. The first tool on this list will always be important. You need to communicate regularly with your clients and prospective clients, and keep your brand front-of-mind with them. There’s a real skill in drafting emails that sell, and in particular in crafting Subject Lines that will get your email opened. But there’s one big disadvantage of emails; even if they get opened it is too easy for your prospect to defer consideration, to put it off, to procrastinate – “I’ll look at it tomorrow”. But of course, as the old song said, “let’s forget about tomorrow, for tomorrow never comes”. That’s why I found some research carried out in the US comparing the effectiveness of emails versus face-to-face requests to get people to donate to a cause. Getting donations is also a sales process. Face-to-face requests were 34 times more effective than emailed ones. In the studies, participants were highly attuned to their own trustworthiness and the legitimacy of the action they were asking others to take when they sent their emails. Anchored on this information, they failed to anticipate what the recipients of their emails were likely to see: an untrustworthy email asking them to click on a suspicious link. The nonverbal cues requesters conveyed during a face-to-face interaction made all the difference in how people viewed the legitimacy of their requests, but requesters were oblivious to this fact. From a business perspective, what can you learn from this? 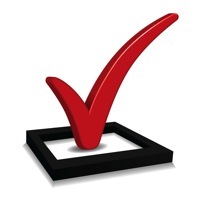 You are much more likely to get a positive result if you get in front of your prospect when asking for the sale. For those of you who have been through a tendering workshop or webinar of mine will know I stress the importance of getting in front of the buyer calling the tender. Nice to have this confirmed. Having a planned “sales conversation” helps even more. Some people see “selling” as being pushy, but without sales you don’t have a business. 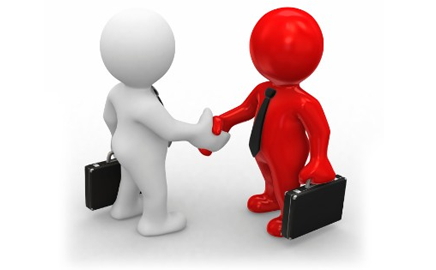 Salesmanship is a skill, a skill which can be developed. It is not about pressure on the prospect. It is about educating the customer. Without sales, you don’t have a business. Are Leads your Key Sales Metric? Many years ago, I was General Manager of a government agency tasked with attracting industrial investment to our state/territory. Before then I had worked my way up the management tree in a variety of manufacturing industries. My Chairman had been in the Public Service since he was 17, but he was backed by a Board of experienced business people, including a very senior person with significant international sales experience whom I recruited. My friend Rashid Kotwal of Revealed Resources has some interesting thoughts about this very topic. As always, Rashid gets to the heart of the problem. Here’s his take on “leads” versus “conversions”. Sure, every business needs leads. But nothing happens until you sell something. i.e. Convert qualified leads into clients. So if the majority of people you talk to don’t become clients, focusing on generating more leads is simply a waste of time (and advertising dollars). Instead, first concentrate on improving your conversion rate. So more prospects become clients. Only then bring in more leads. Sell the result not the process! I know what you do is complex. It took years to master. And you love to solve problems when in front of a potential clients. If that’s you, stop it. NOW! Your prospect is sitting in front of you because they have a problem. They’re in some kind of hell. They want a solution, but have no idea how to achieve it. They’re looking at a mountain confronting them, feeling overwhelmed. Your job is to take them by the hand over the mountain, to their promised land. But first, you really have to have your prospect articulate their own private hell. Why? Because unless the pain is great enough they won’t want to expend the time and money on a solution. Then have them describe what they really want instead. Their "why". Delve deep. Find out the underlying emotional reasons. How they’d feel then. Have them tell you the cost of not changing. Not solving the problem. Ask them to give you at least 10 things that would happen if they kept the status quo. Then reverse it. Take all 10 (or as many as they can come up with) and ask how they’d feel if these issues were fixed. Have them bask in the positive emotions. This is selling the result. Only now ask if they’d like to work with you to achieve this. If yes, now you can lay out your program and costs. Answer any questions and get commitment. Thanks Rashid – that is very useful. Convert qualified leads into clients – note the word “qualified”. Very important in saving you from wasting your time. Improve your conversion rate, before you increase the number of leads. What you are selling is the result, not how you achieve it. But first you have to find out “why” they really want/need that result. And I like Rashid’s steps for selling the result. Could your Sales Process be Improved? If you would like to discuss how you could improve your sales process, contact me. There’s no cost for a consultation. It is my gift to you. Does Fear make your Sales Message More Effective? The first is creating a “fear of missing out”; something is so good, others are doing it, and unless you catch up, you’ll miss out. The second is “fear of a villain”. In this case, the bad guy is seen as a real threat, nasty and harmful to your prospects future. Getting that clear in your prospect’s mind is up to you in your sales message. Regardless of what you sell (product, service, fundraising, etc., doesn't matter) or whom you sell to, your product is the hero, riding in on his noble steed and slaying the bad guy. You then need to demonstrate, and provide proof, that your product will be an effective solution to your prospect’s problem. So following on from the last blog, let’s take apart how your sales message might convey either of these “fears”. Let’s See where you can convey “fear”! It doesn’t have to be that way. Avoid the simple mistakes that so many make. Fear may be part of the solution, but you will also need more. My last blog examined the first three of seven common mistakes. 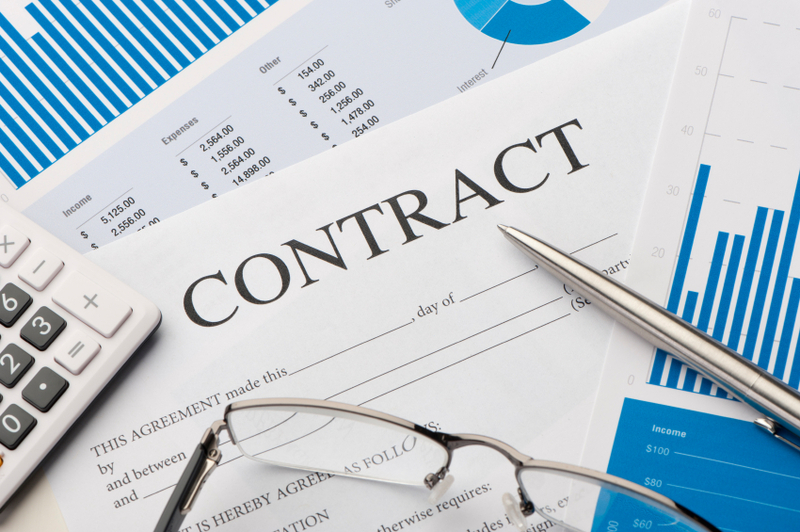 Here are four more actions you can take to make your Sales Proposal more effective. And there’s an offer at the end. (Comment - Use Social Proof to demonstrate either Fear 1 – using your product/service they assuredly won’t miss out, in fact they’ll be ahead of the pack! Somewhere, either just before the offer, or just after, when the prospect is hesitating, “Will I or won’t I”, remove the doubt that your product or service might not deliver what it promises by offering a guarantee. This backs up the earlier social proof. o Instead of...Moving your money now will help you avoid major losses. o Try...You can avoid major losses IF you move your money now! o Don’t forget the Captions – tell them what the photo is. More risk reduction. PSs are very powerful. They can be used to summarise the benefits of your proposal, reinforce the proof, or the urgency or scarcity. Could your Sales Message be Improved? If you would like to discuss how you could improve your sales letters of proposals, contact me before the end of February. There’s no cost for a consultation. It is my gift to you. Does 'Fear' have Role in Your Sales Message? It was the struggle a client was having writing effective sales emails that lead me to resurrect a blog from some time ago. The issue was to what extent “fear” should be used to drive sales. Using a Subject line of “Who Else Wants … ?” With this technique, you're making the implication that everyone else is doing it. And also playing on the fear of being left out. The "it" is the solution your client's product or service offers. Fear of loss is a powerful trigger. Having a “villain” in your message. It's the villain who determines how much you like the good guys. And, it's the villain who is #1 in any story. And guess what? It's the exact same in your emails, too. Regardless of what you sell (product, service, fundraising, etc., doesn't matter) or whom you sell to, your product is the hero, riding in on his noble steed and slaying the bad guy. But, if the bad guy is not seen as a truly credible threat, something evil and malicious, and who will destroy the world (or, rather, the prospect's world), then your product will not look nearly as effective as it really is. What do your clients think of denigrating the competition? That’s the risk! Do they find it off-putting? Some do, but it has been said "C-level" copywriters fall back on the 'old reliables' of fear and greed. And while those two emotions can power some successful promotions, you'll miss huge opportunities to write successful copy if they're the only emotions in your toolbox. I’ll come right out and say the principles expounded in this blog post are based on the first version. They are useful not just for emails, but also sales letters, and indeed quotations, proposals and tenders. But would the second be more effective? After all, effectiveness is what counts when you are after sales! I’ve added some additional comments. The first mistake occurs right at the beginning of the pitch. It’s where the business starts talking about themselves, how good they are, how they are unique, unmatchable in every respect, the “ant’s pants” in fact. So let’s look at what you can do to change all that, and write a sales email or proposal that works. The Hook - you need to grab your prospect’s attention. Headlines are the advertisement for your promotion, so you need to create an impact. The headline has to have a hook that leads the reader on. You only get one chance to grab their attention before they file your message in the round file. And then the Key - the key to understanding headlines is that what grabs attention is personal benefit, known as WIIFM – What’s In It For Me. So you need to highlight a key benefit, preferably backed by a promise. A typical way to do that is to highlight the gap between where your prospect is right now, and the benefit and promise of the headline. After all, if there wasn’t a gap they wouldn’t be interested. The prospect is now being troubled by the problems they are facing. You’ve brought the problems to front of mind. I – Implications; what are the implications for them if they don’t solve their problem. Use emotional concepts. Remember, people buy on emotions, and rationalise their decision with the facts. “Fear” in either version could have a real role here. E- Explanation; This is where the facts come in. Why there is a solution, and how it will work. This is not yet your solution, but why the type of service/product you provide will solve their problem. But there is more to your persuasive sales email or proposal. We haven’t finished yet. Could your Sales Emails, Proposals or Tenders be Improved? There’s nothing like an outside view, a second opinion. Very often when we read something we’ve written, we read what we expect to see. And miss the mistakes, or lack of logic, or lack of persuasiveness. Are you fighting villains, or seeking to stay in front? If you would like to discuss how you could improve your sales letters, proposals or tenders, contact me. There’s no cost for a consultation. It is my gift to you.